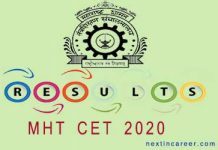 MHT CET 2019 Admit Card will be issued on 25th April 2019 by DTE Maharashtra. Admit card will be released on the official website for candidates to download. MHCET 2019 Admit Card is an important document that you must carry to the exam centre on the day of the exam. The Admit Card will be an identification proof of the candidate verifying their attendance in the examination and will also act as a verification Id of the candidate. Applicants must ensure that they download the MHT CET Hall Ticket 2019 before the final date which is 2nd May 2019. 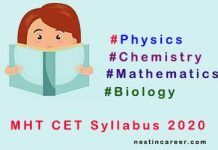 MHT CET 2019 is a state level examination conducted for admission to engineering programmes. There are around 4 lakh candidates that apply for MHT CET every year. 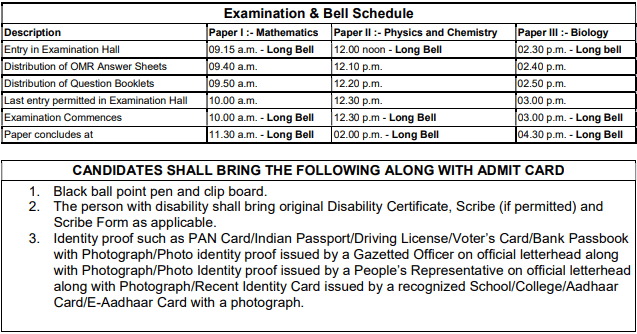 It is an important exam and therefore we will keep reminding you time and again to carry your admit card the exam centre. This year MHT CET 2019 is proposed to be conducted from 2nd to 13th May 2019. MHCET 2019 Admit Card: MHT CET Admit Card 2019 download will carry important details related to the exam centre. Candidates must check if their admit card contains all the details and in case of any discrepancy, candidates should contact the concerned body to get the error rectified. Go to the official website of DTE, Maharashtra. Click on the MHT CET 2019 admit card link. (link will be provided here soon). Enter your MHT CET 2019 application number and password and then click on the login button. The admit card of the candidate will appear on the screen in PDF format. Download the MHT CET 2019 admit card. Take 2-3 printout of the admit card. The MHT CET 2019 Admit Card download will be available only in online mode only. There will be no other mode to procure the admit card. No candidate in any circumstances will be sent the admit card by post. The admit card must not be soiled, torn or creased. If the candidate finds any kind of discrepancy in the admit card they must inform the authorities. Proper actions will be taken by the authority. If the candidate does not inform the authority about issues, the candidate will not be allowed into exam for mismatched details on their admit card. It is necessary to carry the admit card to the exam center, failing to which candidate will not be allowed to enter the exam center. Ration Cards are not a valid ID Proof. 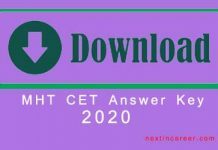 steps to follow in case candidates forgot there application number which is used in download the MHT CET 2019 admit card. The MHT CET 2019 Application Number will be displayed on the screen. MHT CET 2019 Admit Card: MHT CET 2019 will be held at the various exam cities (all the district headquarters) of Maharashtra state. The exam centre name and address will be mentioned on the MHT CET admit card 2019.